2016-2017 will include deliveries in Central & South America as Danell Travels by Electric motorcycle for 9 months. ​Find out more www.danelllynn.wordpress.com the adventure blog! There has been immense research done looking at the positive effects of art on children. Whether they come from poverty stricken areas, rural communities or even struggling home environments: art has the power to respond in miraculous ways. It builds self confidence, gives children a voice, promotes thinking skills, and increases cognitive capacities and motivations. Most importantly reminds them that it is ok to be a child and there are good things in childhood. The mission of highwire is to bridge the cultural gaps with hope and imagination. Stretching a wire, crossing borders and connecting the human spirit. San Salvador was the start to the powerful growth of highwire. Danell visited two villages and began bridging the gaps. Her art class was with 20+ children in the violent and crime torn city of Soyapongo. The belief is that the art will help remind troubled children of the beauty in childhood that is so often forgotten. All lessons are guided with art therapy in mind and not just making a pretty picture. The depth of underlying emotion and thought in the works is what keeps you going. 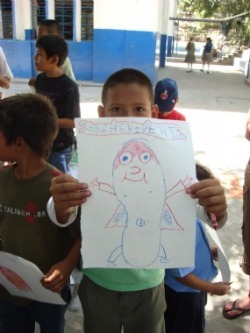 After the wake of the earthquake in Haiti, Danell headed to Port au Prince to do work in the hospitals, and created art kits in cloth backpacks that the children could keep to begin there healing through art. She also took quilted blankets handmade from Threading Hope volunteers (www.dl-couture.com, or www.threadinghope.com) to give to families and children in need. Danell is a global supporter of humanitarian aid. She has done humanitarian work in Estonia, Kenya, El Salvador, Malawi, Haiti, Morocco, Ecuador, Colombia and more. 2016 she is back out on the road and visiting North, Central and South America with many donations along the way. 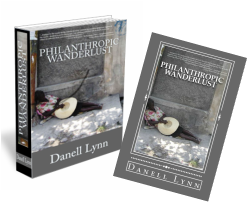 New book by Danell Lynn that chronicles the magnificence of travel, and philanthropy...Highwire and Threading Hope's adventures featured! This book has become a Young Readers Edition that Danell donated to schools around the nation during 2014-2015 Guinness World Record Motorcycle ride: www.BlackTie2BlackTop.com! 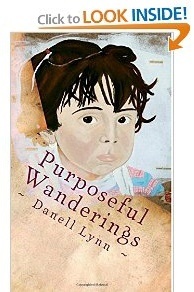 Purposeful Wanderings - Young Readers Edition of Philanthropic Wanderlust. Humanitarian Adventures of Threading Hope and Highwire - a new coloring for Philanthropy. 100% proceeds goes right back into the Highwire projects...for every coloring book that sells it put a coloring book into the backpacks that Highwire delivers to children around the world.